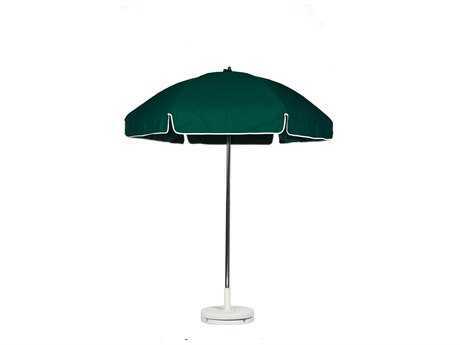 Beach umbrellas offer shade and decorative style to any outdoor space. 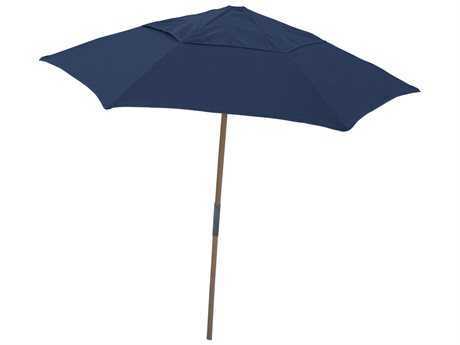 These types of umbrellas are characterized by their portability and versatility. They are crafted from wood, aluminum, or fiberglass and are available in a diverse variety of shade materials, colors, sizes, and shapes, to suit your usage needs and style preferences. 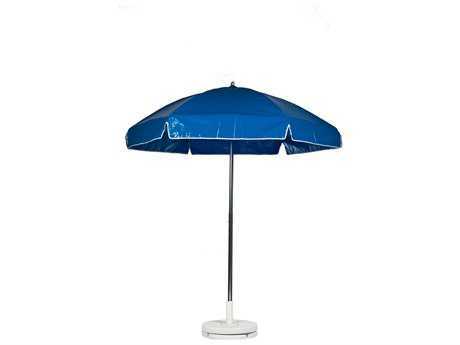 When you buy beach umbrellas online from PatioLiving, you know you’re getting high-quality materials and excellent craftsmanship. 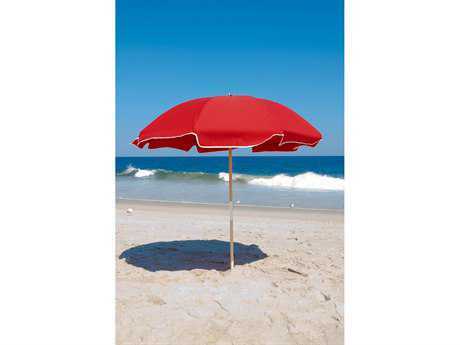 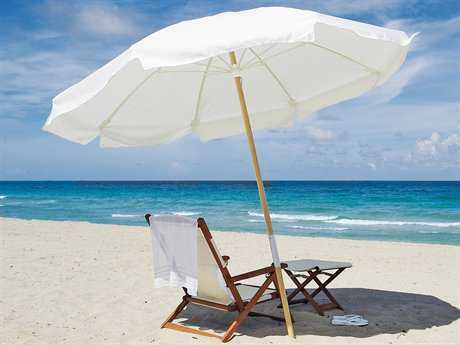 Our diverse selection of large beach umbrellas makes it easy to find the perfect fit for you. 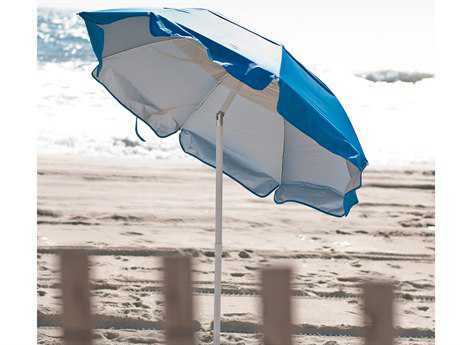 A number of our umbrellas feature valence panels and classic white trim, capturing the look of a traditional beach umbrella for a laid-back, casual aesthetic. 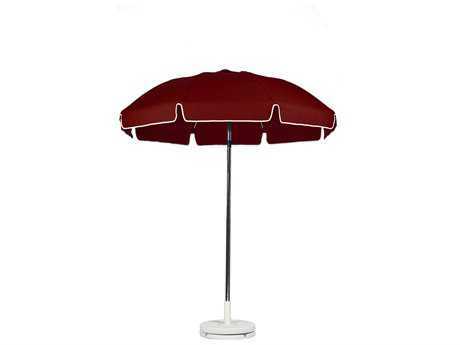 Many cantilevered options feature wider shades, up to 11’ or more, perfect for commercial environments. 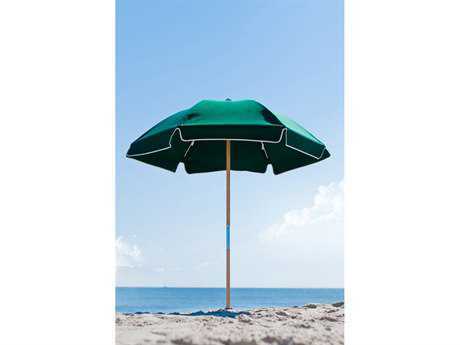 These models cast shade on areas large enough to protect several chaise lounges from harmful UV rays throughout an entire day spent oceanside. 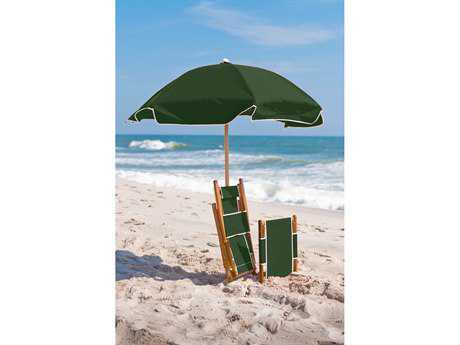 Our smaller, portable beach umbrellas pair well with adjustable lounge chairs to create an instant oceanside oasis with stylistic appeal. 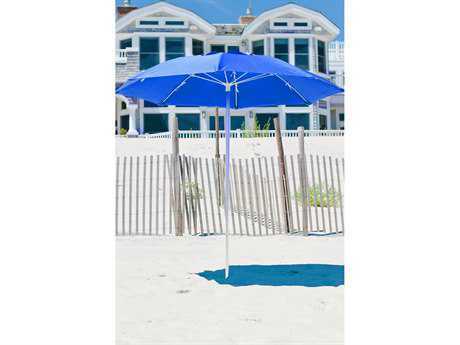 These types of umbrellas are generally offered with striped pattern fabrics or bright colors, making them a perfect anchor in any fun, mismatched beach furniture arrangement. 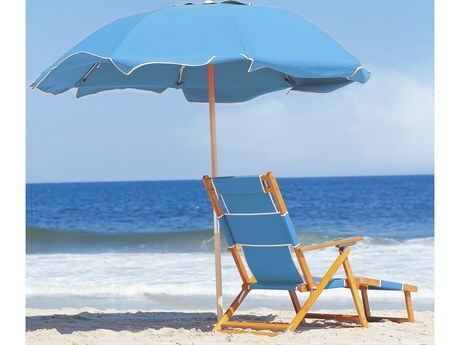 A bright or patterned shade can also serve to help you and your family identify your spot on the beach amongst numerous other groups. 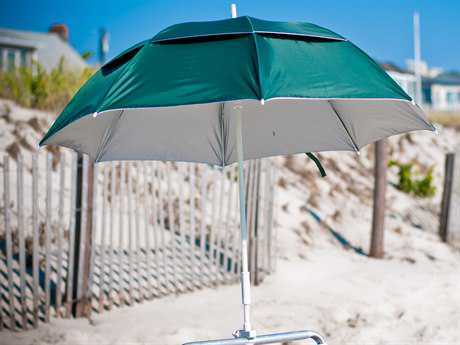 Beach umbrellas are specifically designed for beach use, but their durable and versatile construction makes them well suited for almost any outdoor environment. 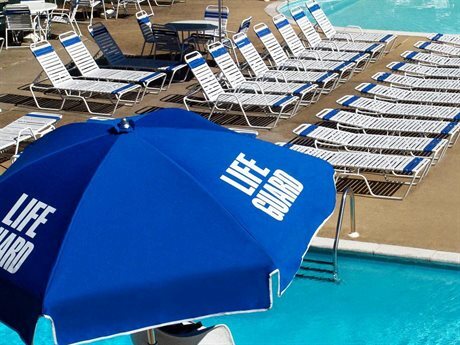 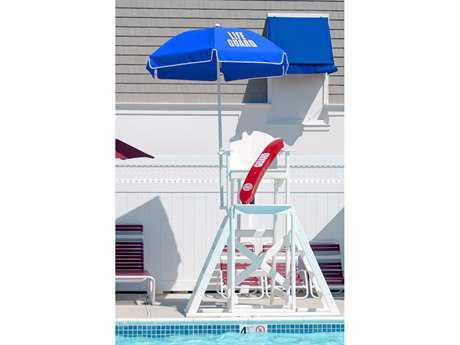 For ease of use, many large beach umbrellas feature crank lift, push open, or cantilevered functionalities, with various styles suited to everyday beach use and other sturdier models ideal for commercial environments, such as resorts or hotels. 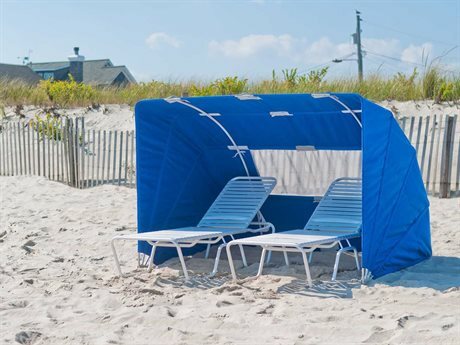 Aluminum and fiberglass frames are coated with a powder solution engineered to protect the structure from salt air and other elements that contribute to rust and corrosion. 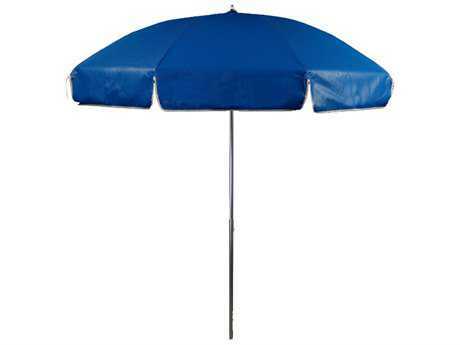 Both aluminum and fiberglass models are strong enough to handle inclement weather. 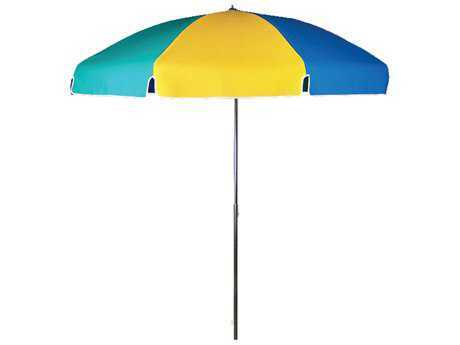 Even large beach umbrellas are typically lightweight and offered with one-piece or two-piece poles for easy transport to and from the beach. 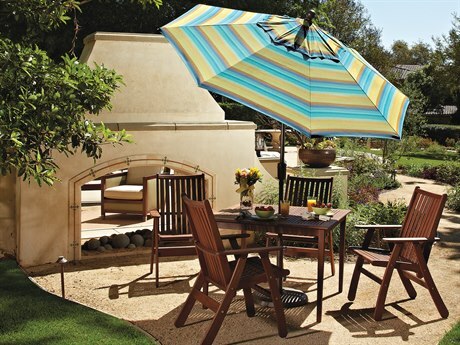 For more information about patio umbrellas or about buying beach umbrellas online, read PatioLiving's Patio Umbrella Buying Guide to learn more about patio umbrella sizing, construction, materials, and features.